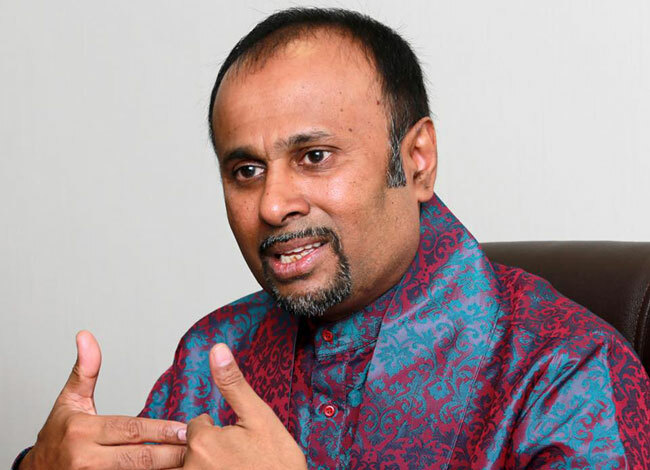 Former Sri Lankan Ambassador to Russia Udayanga Weeratunga says that he has been released by Interpol as there are no internationally leveled charges or a red notice against him. Weeratunga was reportedly detained at the Dubai international airport on February 04 when he tried to leave for the United States, due to a warrant issued for his arrest. However, issuing a statement today (8) to Sri Lankan media and through social media, the former diplomat claims he was stopped and searched by Interpol in U.A.E. but was released after it was confirmed that there are no internationally leveled charges or an Interpol red notice issued against him. Weeratunga further says that he has no intention of returning to Sri Lanka for now, due to the incumbent government exacting ‘political revenge’. However, the former ambassador says that he is glad he has been provided an opportunity to file a compensation lawsuit internationally against Sri Lanka Police. A seven-member team from Sri Lanka had left for Abu Dhabi yesterday (7) for inquiries on Udayanga Weeratunga, who was arrested in U.A.E. The team included an officer from the Financial Crimes Investigations Division (FCID), two senior officials representing the Attorney General’s Department, an official from the Department of Immigration and Emigration, two officers of the Criminal Investigations Department and one from the Ministry of Foreign Affairs. Police want to bring him back to Sri Lanka to face criminal charges over the 2006 MiG purchase deal.